No action is required by customers based on our assessment of this change. 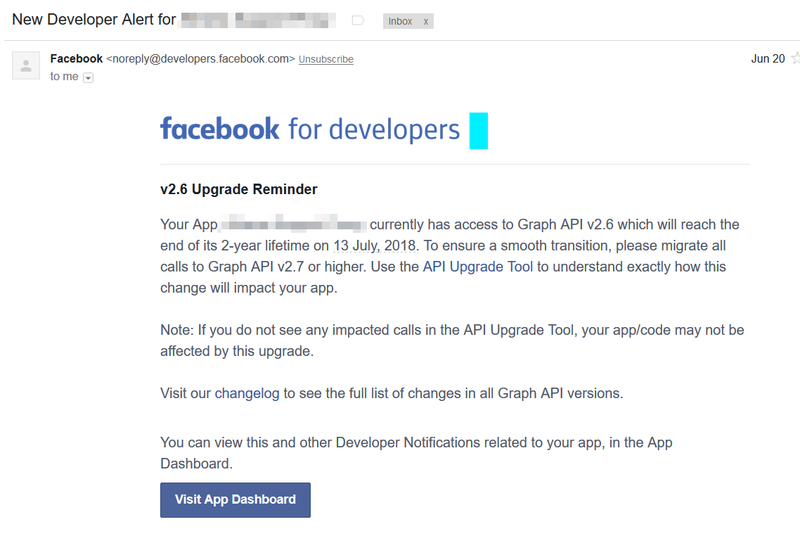 Cirrus Identity has confirmed that upgrading to any version Facebook Graph API up to and including 3.0 has no impact on the operation of the Cirrus Identity Social Gateway. 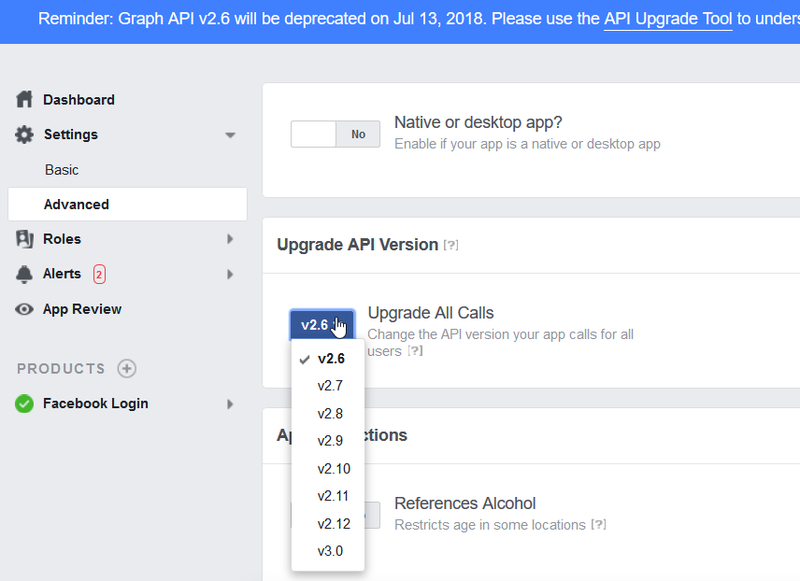 If customers want to address this alert, or avoid alerts as API versions lower than 3.0 reach their end-of-life, they may proactively update the API version. This is done from the Facebook Developer Console. Navigate to your API integration and select "Advanced" under "Settings". You can set the API version to 3.0 for all calls and all roles. Customers of Cirrus Identity may contact support@cirrusidentity.com with any questions or concerns about this upcoming change from Facebook.